Looking for trustworthy, experienced electricians who aren’t afraid to tackle difficult jobs? Welcome to GCS Electric. We provide high quality custom electrical solutions to both residential and commercial customers throughout the state of Ohio. We stay active in our community and believe in building strong relationships in both the local community and with each and every one of our clients. Our goal is to provide electrical services that are above and beyond what you would expect from your typical service electrician so you won’t think twice about who to call the next time you need electrical services. You don’t have to take our word for it, just take a look at what our customers are saying. GCS Electric is located in Sheffield Village, Ohio and serves Lorain, Cuyahoga and Summit counties as well as surrounding areas in Northeast Ohio. We are fully licensed, bonded and insured electrical contractors. 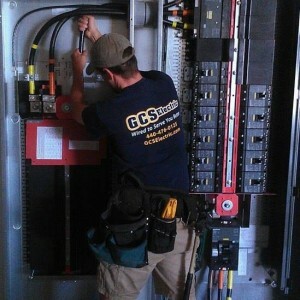 Contact us and experience the high quality electrical service our clients have come to expect from GCS Electric. Graham Custom Electric was on time & did an excellent job. They replaced an exhaust fan, electrical panel, as well as installed new lighting and electrical outlets. Pat Graham and team have worked on multiple project for both my home and for my customers over the last 5 years. Every job has been completed on time, professionally, and they always take the time to clean up before they leave. GCS Electric will always be my #1 vendor for any electrical related needs.